down from the ledge...postcards from the edge of suicide: On the eve of my 3rd anniversary. On the eve of my 3rd anniversary. 3 years ago today a plan was unfolding. I stopped going to work. I penned a letter of resignation. And a suicide note to my family. I picked a place to die. I printed my mapquest directions. Then I packed some pills and some bags and started driving. I’d always wanted to go to Nashville, so I went there. I checked into the downtown Hilton. In between hysterics and crying, I walked. 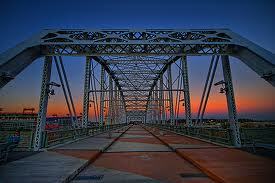 I peered into the Cumberland River over the E Street Bridge. I circled honkytonks and landmarks. The city was empty and dead. Everyone had left to be with their families for Thanksgiving. Homeless men talked to me. They were the only other ones walking the streets alone. I know they could see it in my face. I ate my “last meal” in a dark corner of the Wild Horse Saloon. I tipped the waitress extra well. Then I walked back out into the cold, misty night. So many other things happened before, during, and after all of this. Telling this story takes more concentration than I possess at the moment. I don’t know where to start or end, what to include or omit. My brain ping pongs off a thousand details and emotions. There is the story of how I got THERE, and how I got HERE. Obviously only 99% of my plan got carried out that evening in Nashville, but the 1% that didn’t is really all that counts. I am in a far different place than I was even last year at this time. In November of 2009 I was starting to carry out a third suicide plan. I wish I could look back at how far I’ve come since Thanksgiving of 2007, but instead I continue my fight to avoid getting down to that last 1% again. I don’t have my life back, or my career, or even a job. I can’t sustain friendships or follow through on commitments. Where I could be or should be or need to be threatens to overwhelm my panic buttons at any given moment. Three years ago I roamed the streets of Nashville preparing to die, and the only people who looked me in the eye or spoke to me were homeless men. I recall that flash of recognition in each others’ eyes: That night, we were all somebody’s throwaway. I wondered what made them choose to go on living day to day in their circumstances, while my reasons for not wanting to suddenly seemed absurd in comparison. I couldn’t comprehend why they would care about me in the slightest, when people who “loved” me wouldn’t pick up the phone. I marveled at the irony of the situation, and how the wrong people almost won. The people who didn’t give a damn. 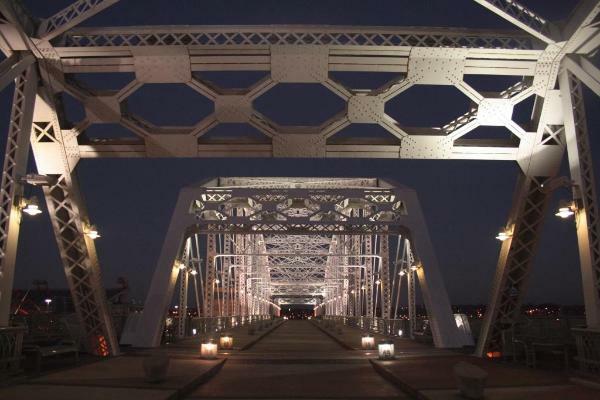 All of these moments, and the utter lonliness that gripped me on the Shelby Street Bridge, welled up as I cried my way through the video. Part of me wants to get in the car and drive to Nashville next Thursday to give back to the people who saved my life. But I can’t exactly take off like I used to without sending off the “cuckoo for cocoa puffs” alarm bells. I haven’t been hospitalized and I don’t care to be. Maybe I will get up the courage to ask a friend to go with me so that I can have a full circle moment and finally begin to move on with my life. We’ll see. I don’t tend to stick to my plans these days, and sometimes that’s a very good thing.